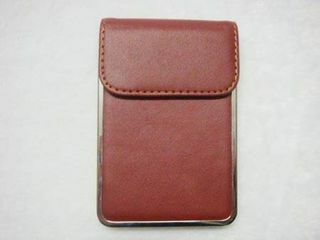 Mixed metal and leatherette business and credit card holders. 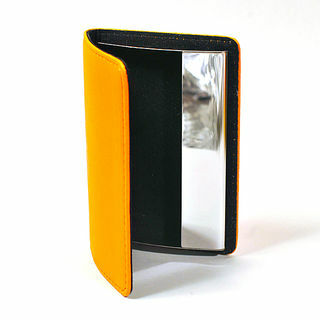 Business card holder metal frame and magnetic flap with brown leatherette finish. 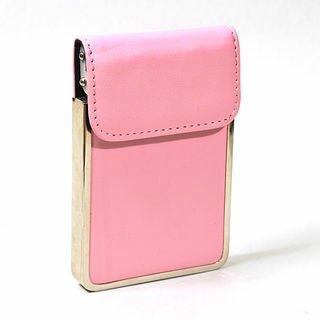 Also one left in pale pink leatherette. Contents are automatically lifted for ease of access when the magnetic flap is opened. 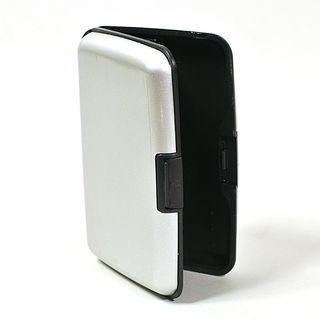 A chrome metal framed business and credit card holder finished in leatherette with a flap that, when lifted, raises the cards up out of the holder. 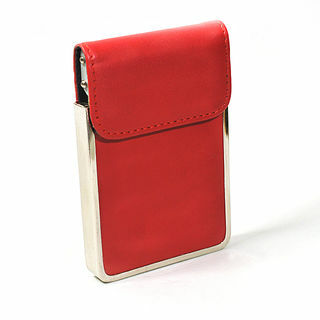 Business card holder metal frame with magnetic flap and brown leatherette finish. 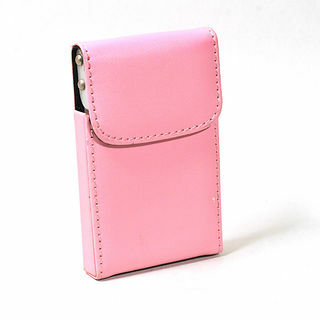 Contents are automatically lifted for ease of access when magnetic flap is opened. 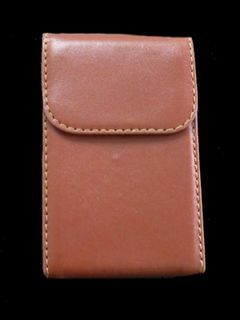 Business and credit card holder in leatherette over a metal frame which lifts the cards out on lifting the magnetic flap on the front. 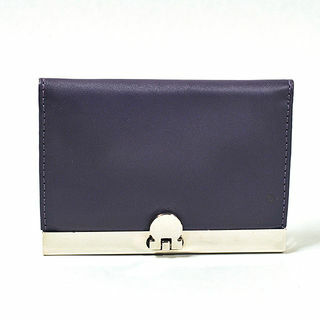 Business and credit card holder in leatherette over a metal frame which lifts the cards out on lifting the magnetic flap with a chrome catch on the front. 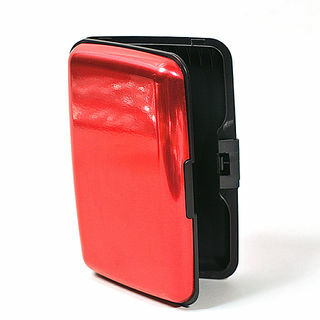 Leatherette card holder containing 3 compartments and locked with a high polish chrome set of parallel bars. 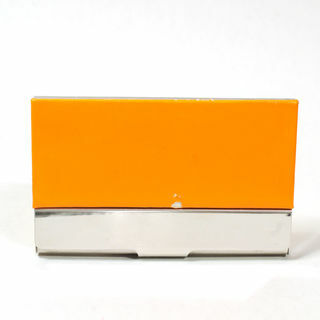 Business and credit card holder in orange leatherette with high polish chrome frame and locking mechanism. Space for about a dozen business cards. 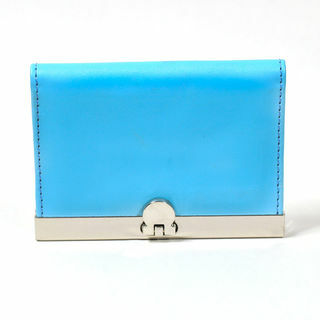 Business and credit card holder with leatherette covered metal frame and chromed metal internal box frame. Curved front and flat back. 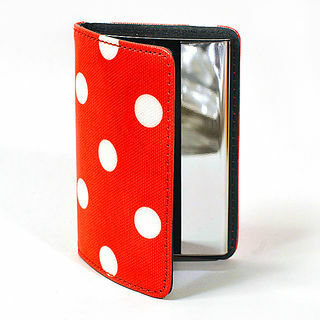 Colour: Red with white polka dots leatherette. 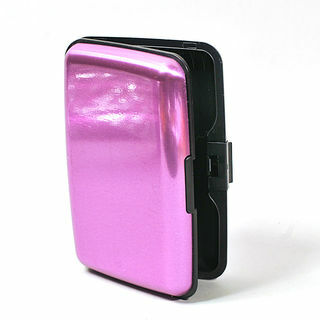 Business and credit card holder in anodised high polish metal with black acrylic concertina-type divisions. 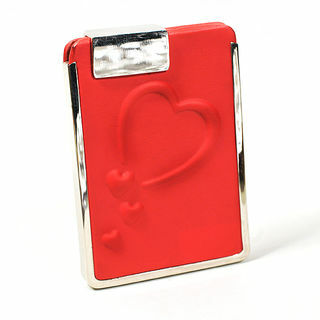 Business and credit card holder in red leatherette with heart shape embossed and high polish chrome detail. 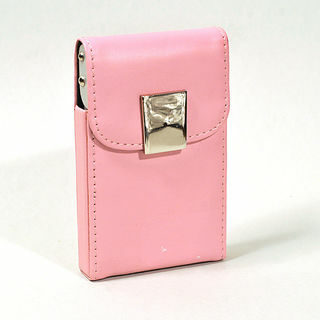 Clip covers and slides to reveal finger and thumb access to the cards contained.